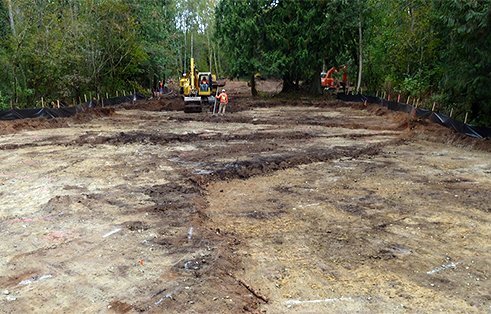 Final grading restored the natural drainage flow and wetland function at the site. 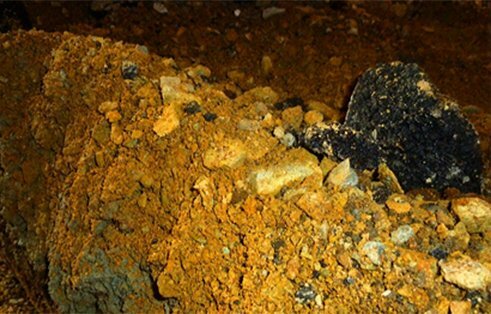 Stained soil led to the discovery of contamination at the site. Contaminated tree root balls were removed from the site; non-contaminated trunks and branches were chipped and reused as mulch. Computer-aided, precision terracing reduced over-excavation of the site. 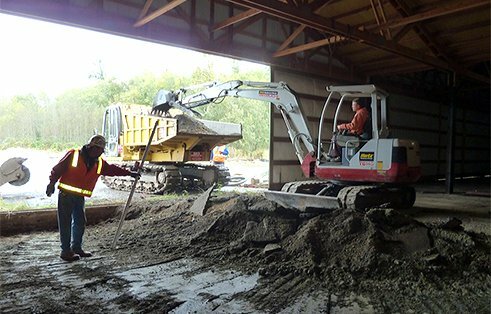 The contaminated soil and concrete floor inside the hangar building were safely removed without damaging the building. 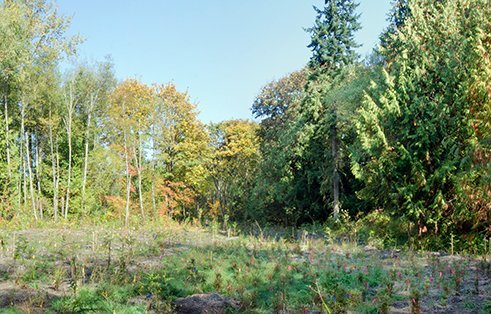 Six months after planting: Restored wetland appears increasingly natural as plantings become established. This sustainable, cost-effective cleanup project gave a pesticide-contaminated airport facility a fresh start. From 1978 through 2000, a series of crop-dusting companies used the Port of Skagit County’s (WA) Taxiway F Site at the Skagit Regional Airport. Their operations at the facility included storing and mixing pesticides, fungicides and herbicides and loading them onto aircraft. The chemicals released in the process contaminated an area measuring approximately 2.2 acres, including the hangar building where the chemicals were stored, an asphalt apron and the adjacent forested wetlands. The Port had been working for nearly a decade with several other technical consultants and was not satisfied with the results or the pace at which the project was progressing. In 2009, another GeoEngineers client recommended the company to the Port. GeoEngineers met the Port’s high expectations by completing the project well within the expected timeframe and below budget. In parallel to the technical work, GeoEngineers assisted the Port in obtaining grant funding from the Washington State Department of Ecology for half of the estimated project costs and helped the Port settle historical insurance claims. Together, the funding from the two sources enabled the Port to complete the project with no out-of-pocket cost. On average, a project of this type requires 12 to 16 years to complete. However, the Port and the project team were committed to an aggressive project schedule facilitated by the Ecology grant. Our team of environmental, technology, permitting, stormwater, natural resources and planning experts completed the project in just three years’ time, with a final project cost that was significantly under budget. As a first step, GeoEngineers reviewed the previous work done on the site, and then re-evaluated the site and determined new cleanup levels that were both acceptable to regulatory agencies and managed risk in a more cost-effective manner. This approach helped eliminate unwarranted remediation of material with concentrations below regulatory concern, resulting in significant cost savings. The team conducted additional strategic soil sampling, which demonstrated that the contamination was limited to low-lying areas of the site. The findings showed that the horizontal extent of contaminated soil was about 20 percent less than previous estimates, decreasing the amount of excavation needed. 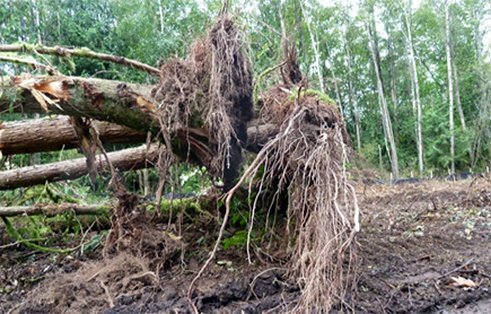 In addition, old-growth trees could be preserved during remedial excavation because their root structures were at higher, non-contaminated elevations. GeoEngineers performed pre-construction soil sampling and testing and confirmed that site soils would not be designated as federal dangerous waste. By conducting this testing prior to construction, GeoEngineers limited costs and avoided potential project delays. GeoEngineers’ cleanup and restoration plans incorporated many creative and sustainable solutions for removing the contaminated soil, tree root systems and asphalt from the site and reusing existing materials where feasible. Roots and below-ground stumps that had been in contact with contaminated soils were chipped separately on site and used to stabilize the haul roads during construction, avoiding the need to import road materials. Non-contaminated tree trunks and branches were chipped separately and recycled as mulch for the restoration. The team employed a computer-aided model to analyze the depth of soil contamination and topography and develop a precise excavation plan to lessen the possibility of over-excavation. 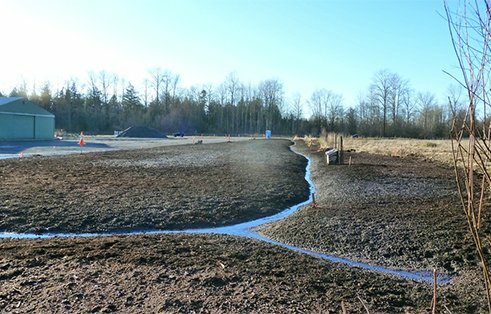 GeoEngineers also developed a Stormwater Pollution Prevention Plan for construction and designed and monitored nearly an acre of wetlands on the site. The successful cleanup and restoration of Taxiway F eliminated a wearing, long-term financial liability for the Port. The comprehensive cost recovery including settling historical insurance claims and grant funding plan advocated by GeoEngineers enabled the Port to complete the site cleanup and restoration at no additional cost. Cleanup of the site will allow the Port to put the area to beneficial use and promote healthy habitat function. GeoEngineers contributed to an overall project cost savings of approximately $1 million including cost savings in project planning, documentation, designing and construction, and construction management.